Once upon a time, there was a city named Chicago. In Chicago there was many food deserts. A food desert is a place without many supermarkets. One person named Dr. Rami talked at the meeting. Dr. Rami said 10s of 1000s of residents rely on corner stores. He said we envision working with stores and policy change. He said we worked with hip-hop singers. He taught Habib a lot. Habib saw a music video. It was called “liquor store.” People who talked about the “liquor store” were asked questions. They had long answers. Habib got bored and played on the phone. He almost got a high score on torpedo. It’s time to reclaim spaces and rebuild places to transform our communities. It’s time for Community Café: Rebuild. 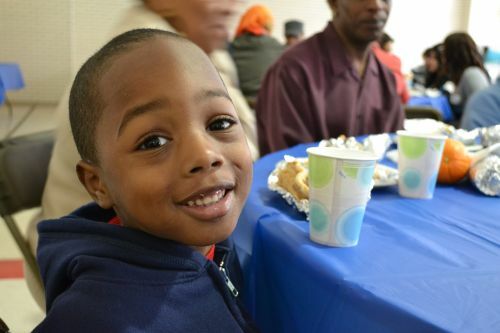 This Community Café will connect with and highlight all the work that IMAN has been doing to reclaim housing and neighborhoods as part of its community building initiatives over the last few years. The Green Reentry Project is one such project that has garnered local and national attention. It was launched at the beginning of 2010 and seeks to convert vacant/foreclosed and vandalized properties within the Chicago Lawn Community into vibrant, environmentally sound (green) transition housing. It recognizes that such rebuilding and stabilization of our neighborhoods holds the key to the solution of interconnected and pervasive problems such as decent housing, job skills, public safety, and effective reentry programs that have become endemic in inner-city communities. The artist lineup for Community Café: Rebuild will include The ReMINDers, from the lands of Belgium, Congo, Queens and now Denver. Café veterans and audience favorites, The ReMINDers, are on the verge of releasing their new album and we hope to hear some tracks from that. Another Café favorite performing that night will be Zeshan Bagewadi. This will be Bagewadi’s first performance with his new band, Zamin, meaning “land” or “earth” in Urdu. The final performer at the Café that night will be spoken word artist and community builder extraordinaire Mark Gonzales. He has performed in Palestine and prisons, two places where land and space take on new and contentious meanings. Gonzales will also be leading the discussion the day after Community Café, Sunday, 22 April, at a community art and social justice workshop. The workshop will dig deeper into the issue of land, space and community building and transformation. The dynamic Rasul “Sul Milli” Miller from the land of NYC will be your host for the night, while the sounds of DJ Arkitek will build up the night. And we’re at a funky venue for this Community Café. The Zhou B Art Center is an old Spiegel warehouse reclaimed and transformed into a South Side Chicago arts center! Be there, for it’s time to reclaim spaces and rebuild places to transform our communities. It’s time for Community Café: Rebuild. “It is critical for me to be at IMAN! This is the only place I can be myself and meet other youth across the city,” says Ameenah Ali, a returning leader and one of the participants in the IMAN Youth Literacy Program of 2012. The goal of this program is precisely to provide an open and safe space to youth in the community where they can discover who they, share and connect with youth from other communities, and acquire the writing and technical skills to tell their own stories. In these most critical times, young people are often being challenged by issues of race, identity and social class. Is it the senseless violence that continues to threaten young people’s futures? Is it the lack of jobs that brings down the desire and chance to live a dignified life? Or could it be that the times have changed and education is lacking across the board? We at IMAN ask ourselves these and many other related questions time after time. IMAN now has a tradition of creating healthy and sustainable programs that meet the needs of young people across the inner-city and the larger Muslim community. For 2012, we have designed a multi-layered literacy program that is geared to meet the most important needs of young people, where these needs have been determined by what we have heard from the youth themselves and learned in working with them over the years. This literacy program consists of creative writing, video production and leadership development workshops, all aimed to equip youth with the skills to make it in today’s society. 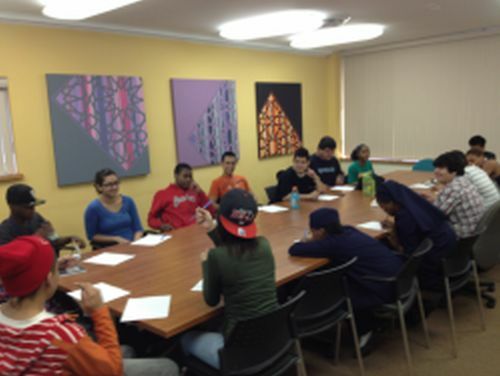 The program kicked off with five open house sessions in February and March that allowed young people to get to know each other, engage in some organizing activities and learn about the overall program. We, then, started our first official program in March. With both Zeid Khater, as creative writing instructor, and Ali Beluch from Tribeca Flashpoint School, as video production instructor, the program is off to a great start. On Saturday, March 24, IMAN and the University of Illinois at Chicago’s (UIC) Department of Kinesiology and Nutrition teamed up to host a city-wide forum entitled, “Food For Life, A Human Right: Food Justice, Corner Stores & Race Relations in the ‘Hood.” Hosted in the UIC School of Public Health building, its attendees included South Side and West Side community residents, university researchers and students, business owners and community organizers. 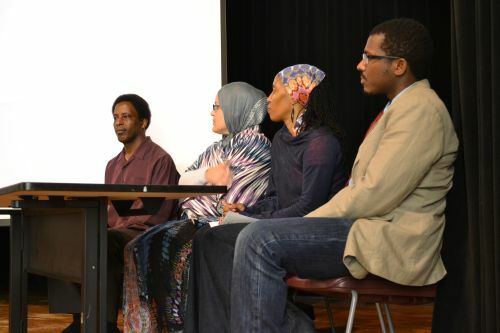 The forum was an open invitation to discuss the complex issues that surround Muslim and predominantly immigrant-owned “food and liquor” and other corner stores in mostly inner-city Black neighborhoods. IMAN has been working with Muslim immigrant store-owners since 2007 through Muslim Run: A Campaign for Health, Wellness and Healing. 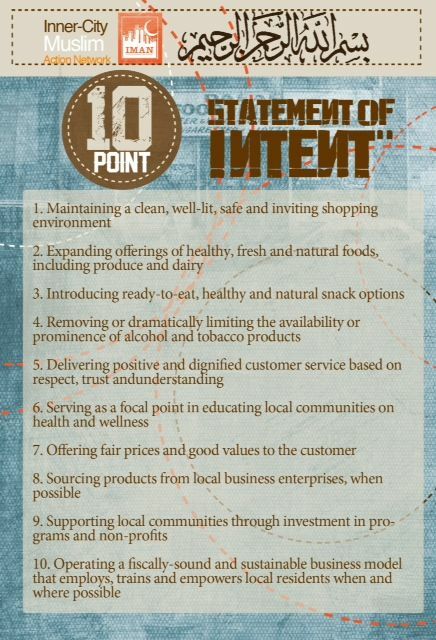 This initiative has created a platform for the development of a Principles Document (10-point Statement of Intent) and funding through the Consortium to Lower Obesity in Chicago Children’s (CLOCC) Healthy Places Initiative, and provide the organization with both a guide and resources to work with stores to change the current “food and liquor” model to one of health and wellness. The partnership between IMAN and the research team led by Dr. Angela Odoms-Young from UIC is a unique and strategic alliance to help facilitate sound solutions to this complex issue. The work of Dr. Odoms-Young and her team focuses on understanding social, cultural, and environmental determinants of dietary behaviors (food shopping, purchasing and consumption), and diet-related diseases (cancer, diabetes, and cardiovascular disease) in low-income and minority populations. This work coupled with IMAN’s Muslim Run campaign helped to spark a meaningful dialogue amongst forum attendees, providing an open line of communication for healing, reconciliation and change to begin. Food For Life had over 100 attendees and began with a welcome and presentation from Dr. Odoms-Young. She discussed the current food environment on the South and West Sides of Chicago, and the barriers and facilitators to healthy foods in these communities. This was followed by a brief history of the Muslim Run campaign and the importance of corner stores on the “well being ” of the communities they disrupt, given by IMAN’S Executive Director Dr. Rami Nashashibi. He then introduced the music video “Liquor Store,” written and performed by Chicago’s own Mikkey Halsted. The video segued into a panel discussion facilitated by Shamar Hemphill, Youth Director and Organizer at IMAN. Panel participants included; Ahlam Jbara, Associate Director of Council of Islamic Organizations of Greater Chicago (CIOGC), Charles Martin, Store Manager of Payless Grocery Store, Qaid Hassan, Manager and Director of Whole Earth Meats, and Sheelah Muhammad, Co-Founder of Fresh Moves Mobile Produce Market. 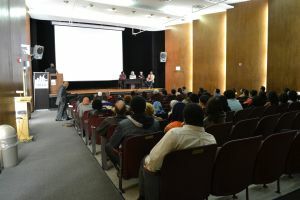 The questions asked at the end of the panel indicated that the attendees had been intellectually and emotionally stimulated by the discussion. After the panel discussion, forum participants were escorted to lunch and a breakout session facilitated by IMAN leaders and community volunteers. They discussed “liquor store” issues in small groups with their fellow attendees, from the perspectives of storeowners, children, community residents, policy makers and their own selves. Also presented during lunch was a photo exhibition by participants of the Chicago Department of Public Health’s Greater Englewood Healthy Start men’s program. Dr. Nashashibi closed Saturday’s event with a “call to action,” inviting all participants to get involved in every stage of the campaign to transform corner stores into healthy places for wellness and education, and to get engaged in an organizing campaign for legislative accountability. Closing prayer was said by Imam Misbahu Rufai, CIOGC’s Director for Urban Development, ending the event on a wonderful chord of hope and solidarity.